A dystopian deathmatch makes doomed children's names very popular. Coming up with the perfect name for something is usually even harder than creating the darned thing in the first place - especially if your end product is a child. Beleaguered parents have struggled with naming their children for generations, and while there have been some missteps along the way, they've generally done a pretty good job with it. In addition to cultural history, ancestry, and naming trends, pop culture can help give a few hints about baby names, and this year, young adult series The Hunger Games is providing a lot of inspiration. In 2012, expect to see lots of little Rues and Catos, two of "tributes" who compete in the titular games. Names like Katniss, Gale, and Peeta have failed to become breakout hits like Edward and Bella before them. However, new parents have embraced Rue, Katniss Everdeen's sweet, agile little sidekick, and Cato, the merciless, hard-bitten antagonist. At first, naming a baby after two characters who get thrust into a pretty violent situation may not sound like the most brilliant idea, but both names have some historical precedent. 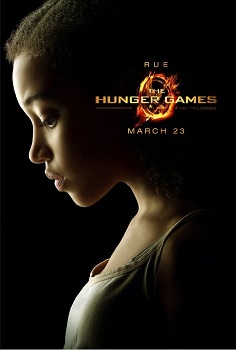 Like "katniss," "rue" is a type of flower, and "Cato" is a name dating back to the Roman Empire. Neither name has been all that popular in the last hundred years or so, but at least for 2012, they're slated to make a small comeback. There are perhaps less risky names for newborns, but children could do much worse than "Rue" and "Cato." The names are fairly unique, since once popularity for The Hunger Games dies down, they will likely recede back into obscurity. If The Hunger Games is still popular when this crop of Rues and Catos become teenagers, though, they made hold a slight grudge against their parents for naming them after those two. Let's just say that the odds were only in their favor for so long.